Wow, Your a Repeated Failure ? Yesterday, I talked about the Definition of Excellence and How it is Measured by the world, the church and by others and perhaps even by you, but also how God measures it. To Fail Repeatedly, is how we learn and how we succeed ! So in reality while you think you are a failure, you are learning and learning is not something we fail at. You may not have met up to someone else’s standard… but who’s standard are we really needing to meet up to ? God’s….and yet we pressure our selves or allow others to pressure us to the point we give up or we become ill physically, emotionally or mentally. So how do we attain or excel in “Excellence” ? Romans 12:1-2, tells us we are to present our bodies as a living sacrifice , holy, acceptable unto God, which is your reasonable service. And be not conformed to this world: but be ye transformed by the renewing of your mind, that ye may prove what is good, and acceptable and perfect ,will of God. James 1:27, tells us that Pure religion and undefiled before God and the Father is this, To visit the fatherless and the widows in their affliction, and to keep himself unspotted from the world. I John 2: 15-17, tells us Love not the world, neither the things that are in the world. If any man love the world, the love of the Father is not in him. For all that is in the world, the lust of the flesh, and the lust of the eyes, and the pride of life, is not of the Father, but is of the world. And the world passeth away, and the lust of thereof: but he that doeth the will of God abideth for ever. Wow, that sort of simplified things , can you see it ? How can we know God’s Will, unless we follow the ways in which he says to life ! The Bible is a great instruction manual !!! We will reserve discussing roles in the Family & Home for another day…. Let’s look again at Ruth and see how she attained ” Excellence” and why she was considered ” A Woman of Excellence”. She has strength, She is worthy, She is brave and She is capable. She was also Bold, unafraid or fearless and the important part is she waited upon the Lord to show her what to do and for Him to provide for her. Proverbs 12:4 Tells us, A virtuous woman is a crown to her husband. Virtuous : having or showing high moral standards. Proverbs 31:10 says ” Who can find a virtuous woman ? for her price is far above rubies. She displays all those noble characteristics and this makes her of great value ! Who are you trying to please anyway ? I Corinthians 10: 31 says ” Whether therefore ye eat, or drink, or whatsoever ye do , do all to the glory of God”. We are to be pleasing God ! Your day may not have gone perfectly, but that is perfectly normal ! You should be redeeming the Time, not wasting it . This past year I started using a planner. For Home & Business, it has helped me greatly to see what I am doing and how much time I am spending on doing things. I am a Keeper at Home, Wife of a Man who is Disabled , I Homeschool my 3 children , Have this blog and Run an At Home Business ! I also Write and I am working on a book ! What are your duties ? On a daily basis there is a lot to do ! We will talk about Planners, Scheduling and Doing all things well another day ! You are Worthy and Honorable ! 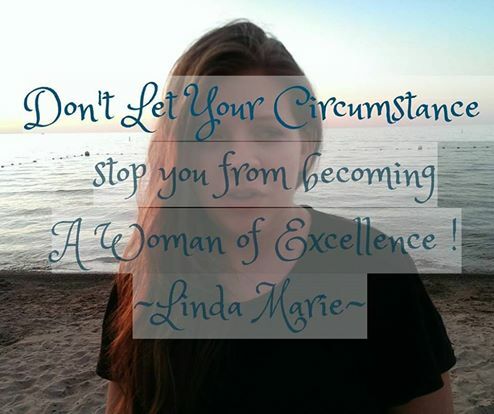 This entry was posted in Becoming A Woman of Excellence, Book Reviews, Cynthia Heald, Failure, His Word, My Thoughts, Uncategorized, Womens Ministry and tagged angelic, blameless, Chaste, Cynthia Heald, decent, ethical, Excellence, Failure, Family, Fearing God, good, high-minded, Honest, Honorable, immaculate, Keeper At Home, law-abiding, Marriage, moral, morals, Mothers, noble, Pleasing God, Pure, respect, Righteousness, saintly, Single, standards, upright, Virtue, Wife, Women of Excellence, Worthy on July 20, 2016 by Linda Marie Finn.